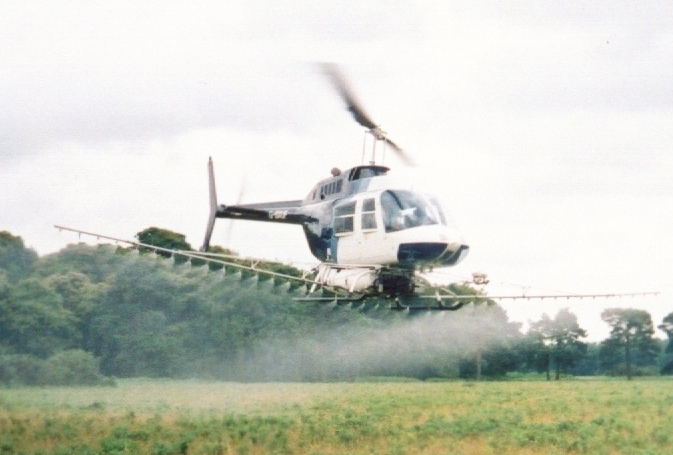 Improvements to aerial bracken spraying practice were essential due to lack of knowledge of what was required to achieve an acceptable level of efficacy. Indeed, this was reflected throughout the industry generally by a total lack of consistency in work quality: bracken kill rates ranged from good to abysmal. Firstly we examined the factors present in the cases of the best of the good jobs, and similarly those for the worst of the poor jobs, and soon a pattern began to emerge. It was clear that a major factor in play was that of droplet size control and that getting this right was vital. By the end of the 1980 bracken season, we were making much use of the Delavan RD Raindrop nozzle which had been promoted and encouraged by Dr R Robinson (who was at that time working with May and Baker, the original manufacturer of Asulox). Indeed, it was this knowledgeable academic who engaged us in our first trial session with this nozzle configuration (which produced most promising results). 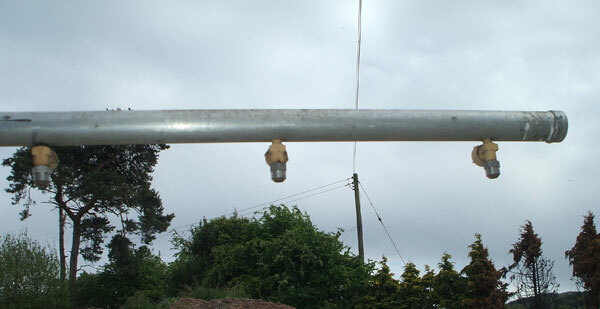 We continued our trials work with these nozzles during the 1980s, culminating in the establishment of our “best practice” procedure, the basis of which has stood the test of time even to the present day, albeit with a little more fine tuning from time to time (particularly in regard to flying speed and spraying height – the two parameters have to be a compromise that takes account of the differing terrain situations encountered during each day’s work). Close up view of our Rain Drop nozzle fitted boom. 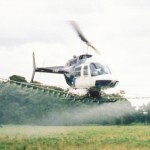 Indeed, we think it is true to say that M. D. Air Services carried out much (if not all) of the R & D work upon the deployment of the “Rain Drop” nozzle spray system for aerial bracken spraying in the Welsh mountains, resulting in work which is both effective and accurate with negligible levels of “fines” (minutely sized driftable spray particles) occurring.